Whomever said “you don’t know you got ‘til it’s gone” first must have had an upset in his morning restroom ritual. If you’ve known the agony of a bowel that won’t budge, you understand the pure joy that comes with a happily crappy start to the day. 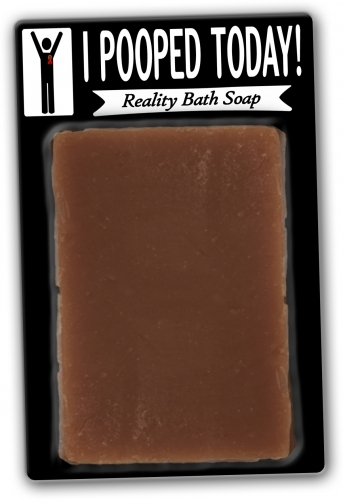 Celebrate that brown trout with a luxurious shower using I Pooped Today Soap! This hilarious handcrafted bar soap is jam-packed with the rich fragrance of decadent chocolate and thoughtfully colored to match your toilet trophy. 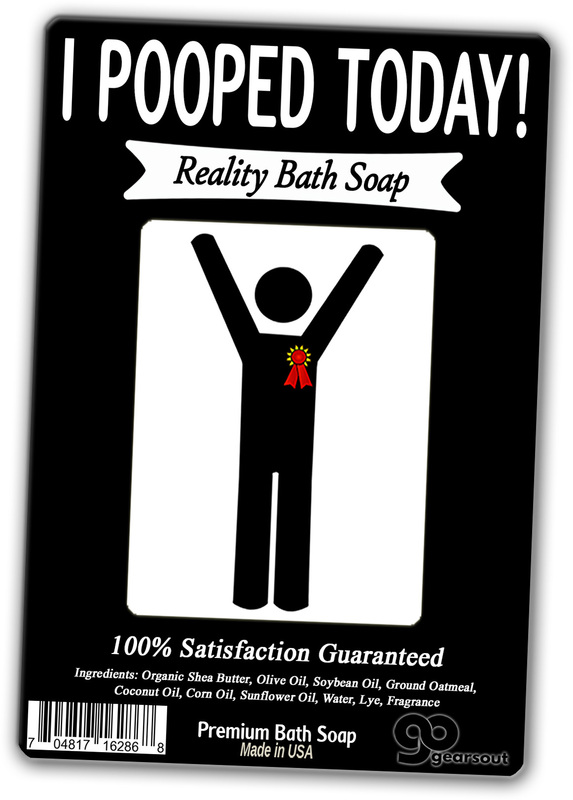 And, as a bonus, you’ll step out of the shower smelling as though you didn’t just unleash a monster deuce! 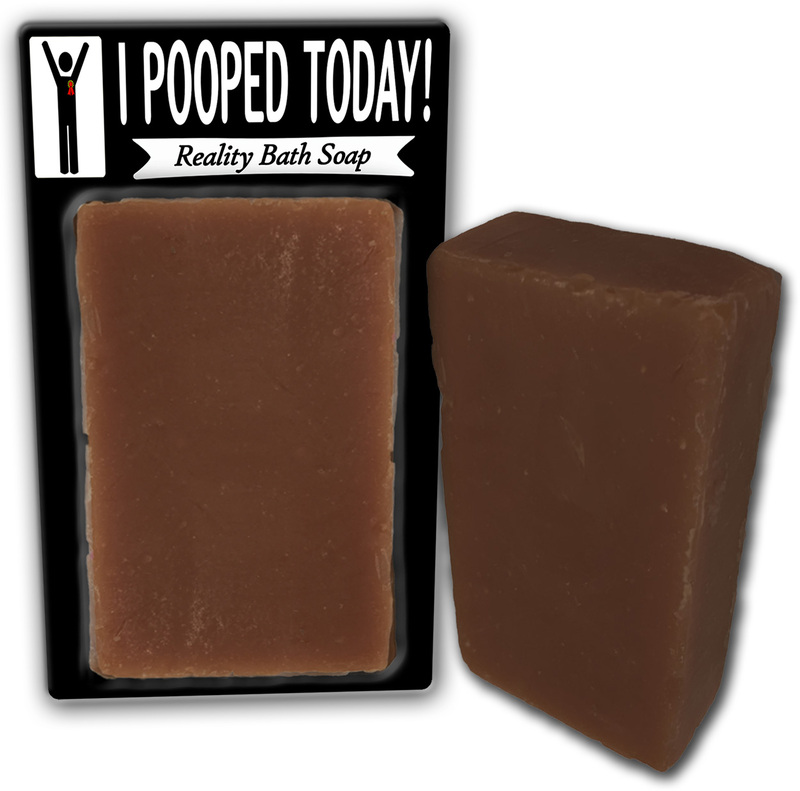 Everybody poops, so I Pooped Today Soap is a fun gag gift for absolutely everyone you know. 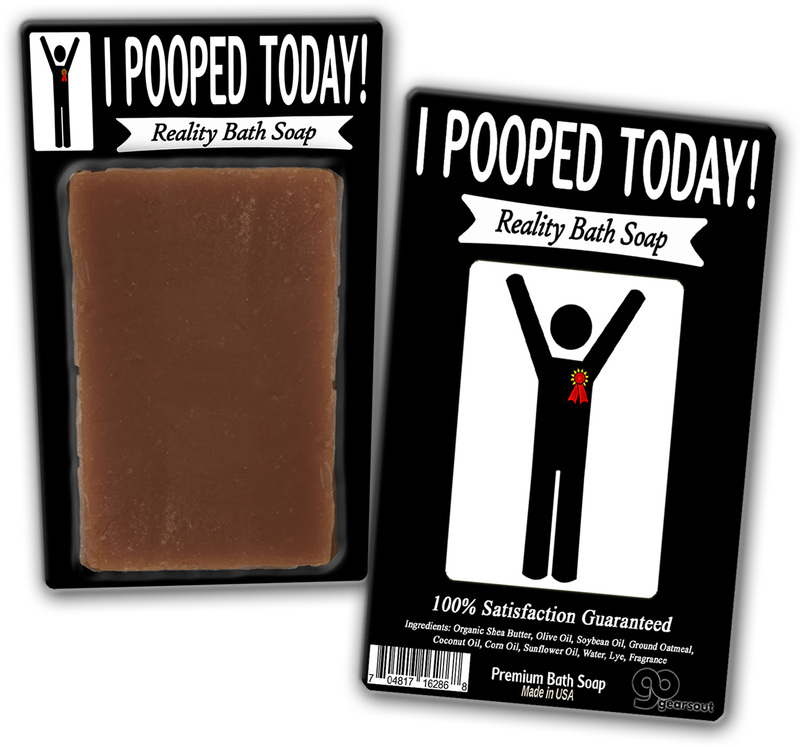 This weird poop gift for friends, family, and coworkers is a gut-busting surprise addition to gift baskets, care packages, and birthday gifts. Slip a bar of this awesome pampering gift in as a fun stocking stuffer or wrap it up as a unique Secret Santa or White Elephant present.